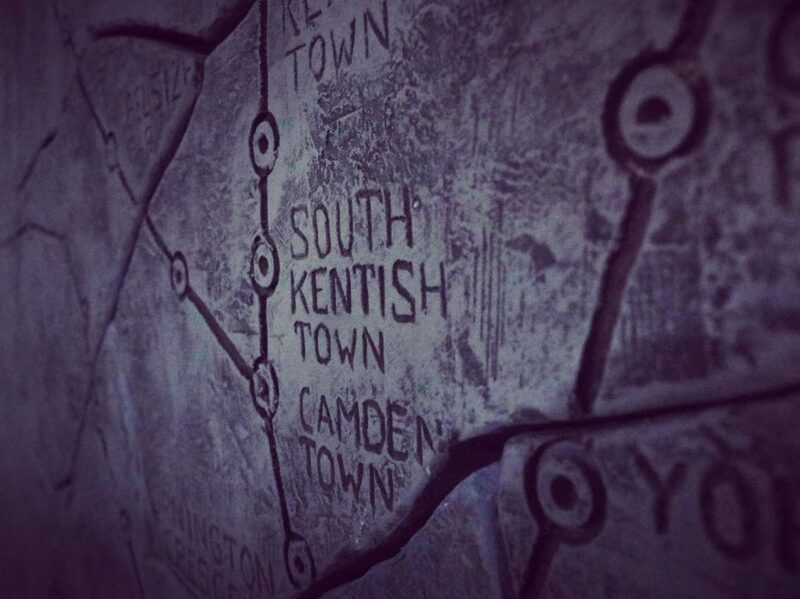 Mission Breakout is an iconic venue, nestled in the former London Underground station of South Kentish Town. While you may not be able to go right down to the platforms, there’s a distinct feel from pretty much the moment you walk off the street that you’re inside the Tube network. On our last visit, we’d played Codebreakers (review here), where they’d gone for a historic theme but not one that took advantage of the history of the building itself, so I was pleased that this time round they’d absolutely played on the transport connection. After ringing the doorbell (and entering the code from the booking email! ), it’s time to head underground for your briefing. All the health and safety and generic escape room stuff is covered by the GM. The mission briefing itself is split between him and a video intro inside the game. Even before you get to the room, they throw in a little theatre. Totally gratuitous, but a nice touch to add to the immersion, and something I think a lot of teams will love. The time has come to descend into the Ghost tube station and investigate the paranormal activity! Get your blood pumping and brains working! With the in-game briefing over, the first thing that’s obvious is there’s no clock. That’s not entirely surprising, because I think they’ve aimed to make this game as immersive as possible, and a time screen obviously didn’t fit their vision. Regardless of how we feel about TV screens in games, this did mean that we weren’t sure whether we should start playing or not, which broke the immersion in a slightly different way. Hint: once the video finishes, you can start playing. And immersion really is a big part of this game. You can expect to be exploring a space that feels like it could be part of the underground station, physically interacting with the room in a way that feels coherent with the story being told, and be presented with a level of darkness that fits the experience while not detrimentally affecting it. Even the puzzles were carefully embedded in the theme. A couple may have felt a bit separate from the narrative, but even those could be interpreted as metaphors for the journey we were taking. It truly felt like a journey too. This isn’t the sort of escape room where you feel like you’re in a normal room. The space in this game had character and, while parts of it had been constrained by the restrictive building they were in, they’d managed to work the game nicely into the geography they had available and turn what other rooms might have seen as a restriction into an asset. Most games have one or two interesting surprises, but this one had several that gave me a constant positive feeling – a teammate described it beautifully as a game full of discovery. That discovery wasn’t just about the space, however. It also applied to the puzzles, which often didn’t feel like puzzles at all but just a natural step in the mission. When it worked, it was great, making you feel like you really were part of the action, immersed in the world that they’d created. That wasn’t always the case, though – at times we were left floundering in the – metaphorical – dark, trying lots of different things in the hope that one of them would be right. When you find that thing, it’s a real joy but, if you don’t, it’s frustrating. It generally wasn’t that the solutions didn’t make sense; just that we were trying to solve the wrong problem. For me, a handful of places need some signposting to give players an idea of what they’re meant to be doing. We generally got away with it, but there were a couple of times in particular when we were doing entirely the wrong thing and had to be steered back on course. Those points were relatively rare, though, with the general direction of travel being pretty clear and, as this was an almost entirely linear game, not much opportunity to veer away from that course. There are several good reveals along the way, with a satisfying culmination to the game. The finale went on longer than expected, which resulted in our excitement levels dipping a little. At the time it felt like an unnecessary final step to the game, but I suspect it allows them to ensure that teams finish the experience together. It certainly didn’t detract much from things. We finished with about 22 minutes left, having been given a couple of clues. From start to finish, this game kept delivering impressive reveals with a real sense of exploring our way through the story. A solid set of logical puzzles kept me enthralled throughout, particularly because they were so well embedded in the theme. You’re likely to struggle with a lack of direction at times, especially if you’re a less experienced team but, if you accept that you’ll occasionally need nudges, I’m sure you’ll come out the other side having had an enjoyable experience. We played as a three, which worked really well, but I think this game would happily accommodate four. I’d be wary of filling it up, though, because there are a couple of places in the game where it gets pretty cosy and you may find it difficult to get close to the centre of the action. In spite of the linearity, there was only one place where we found the team blocked by one person. We ate beforehand just across the road in Crêpes à la carte. If you like galettes (the Breton version of a pancake, made with buckwheat), they have a great range of options. If you just want a quick dessert, I can highly recommend their banana and Nutella crepes, and the salted caramel ones looked pretty good too.